If you wish to take on a cleaner, give us a call on 01292 443777, or fill in our enquiry form with your requirements and we will call you back. We match your requirements to our comprehensive list of reliable and professional cleaners. 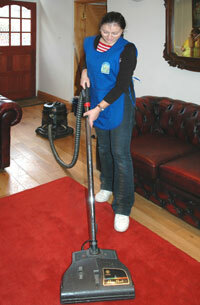 We're then able to find the best cleaner for you, when you need them, often as soon as the next day. You can either complete our enquiry form or simply call the office on 01292 443777.